The following are several examples of the experience and the vision that have demonstrated our expertise and qualifications in managing affordable rental communities. In 1986, CTG assumed management of a 672 unit 221(d)(3)BMIR property (Paradise Manor, now known as Paradise at Parkside) in Washington, DC. At that time, the property was 50% occupied and was suffering from severe deferred maintenance and a serious problem with drug dealing on the site. (In the late 1980s, The Washington Post described the property as the largest open-air drug market on the east coast). CTG worked closely with the residents, police, and private security to gain control of the property so that the planned $20 million rehabilitation could take place. We designed and managed the relocation process so that all existing resident families could be relocated on-site during the construction phase. 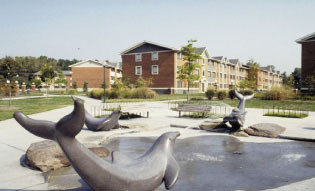 By June 1992, through our efforts with the residents, the D.C. Government, HUD, and private lenders the rehabilitation was completed and has produced a high profile, model community with sustained 97% occupancy and spectacular landscapes. Since its completion, hundreds of national and international dignitaries have visited the site to learn the techniques we utilized to change Paradise to a vibrant, healthy community where children can run around and play. To ensure that our achievement of creating a peaceful community would be lasting, we worked with the owner to plan a camera surveillance system to monitor the 26-acre site and wrote a successful Drug Elimination Grant to install a state-of-the-art video system. This system works in tandem with our community policing program, known as KOBAN, which involves resident police officers in group activities aimed towards at-risk children and families as well as affording individual consultations with residents as needed to maintain a safe community. Paradise also offers a day care center, a staffed community center with activities for all ages, a neighborhood network center and after school tutoring program, and support groups for single parents, adolescent mothers, etc. In May 1996, CTG began managing a 500+ unit tax credit property under renovation in Louisville, KY. CTG designed and implemented an extensive relocation program to meet the needs of existing residents while maximizing the ability of the contractors to meet their schedule as well as the completion thresholds of the lenders. The relocation plan allowed for the provision of sufficient income to operate the property during construction thus concentrating maximum funds towards the construction effort. A resident leader was hired to spearhead a resident services program, which worked in conjunction with local community organizations to offer GED tutoring, computer-based vocational training and other life skills enhancing programs. Regular job fairs were held to encourage residents to train in the construction trade, helping to meet the Section 3 goals of the property. Rental subsidies include Low Income Housing Tax Credits, Federal and local Section 8 programs, 236 and 221(d)(3) BMIR. 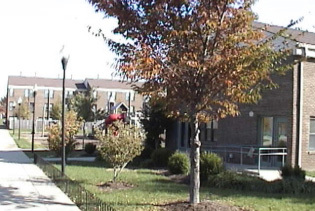 With the completion of the renovation, City View Park has become a thriving mixed income community providing quality affordable housing to the residents of Louisville.